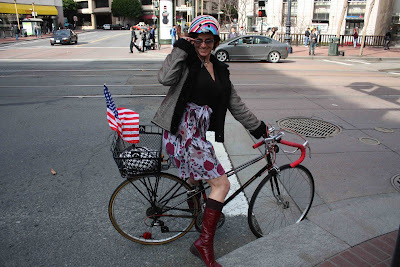 The same day I saw Cheryl with the stars and stripes waving from her bike, Spud of the Twins Brothers coincidentally saw me on Market Street during his brief trip to SF. The classic him taking a pic of me, me taking a pic of him pic. Spud called me the next day from Paris to congratulate me on Obama winning the presidency! Let's hear it for the Obamanation!